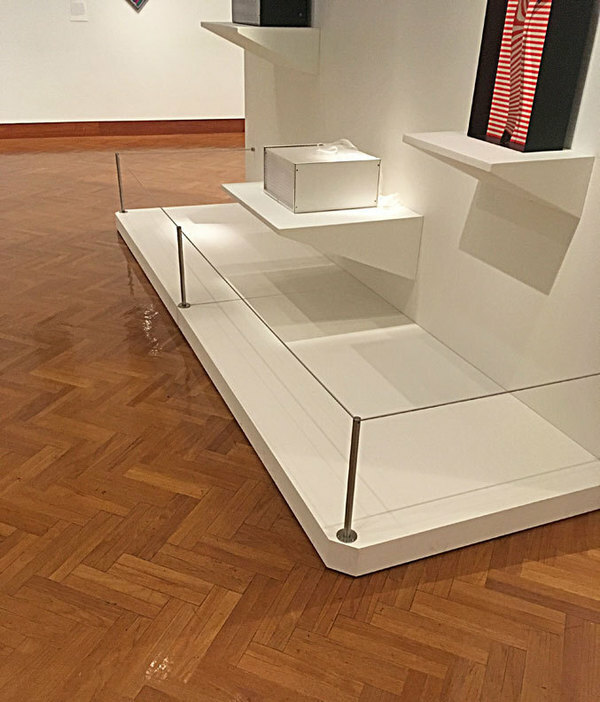 Museum barriers are typically used to queue and control visitors throughout a museum or institution. 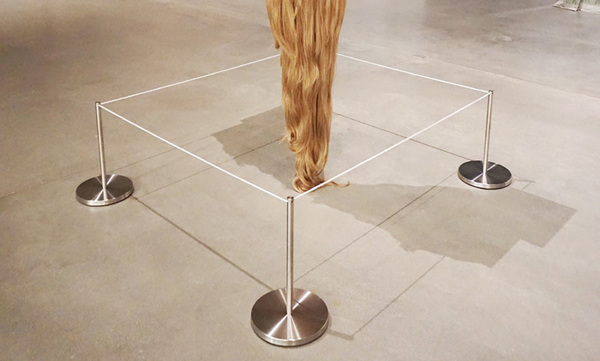 Taller museum stanchions are usually used for directing foot traffic in a particular path or direction. 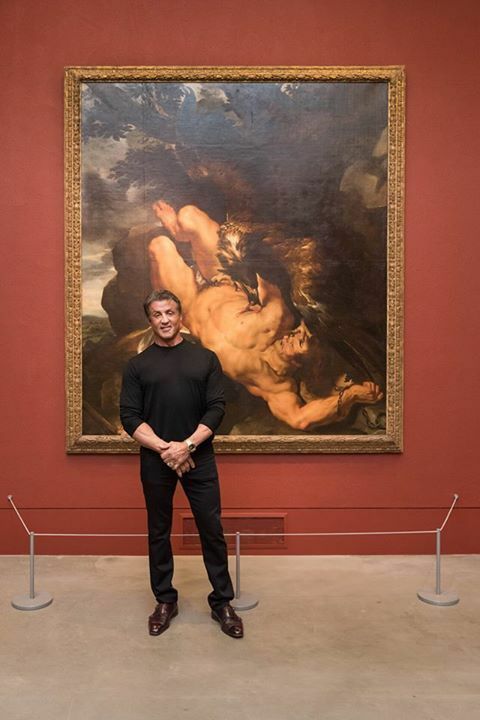 Shorter art stanchions can be used for surrounding items such as works of art to keep visitors from touching or getting too close. 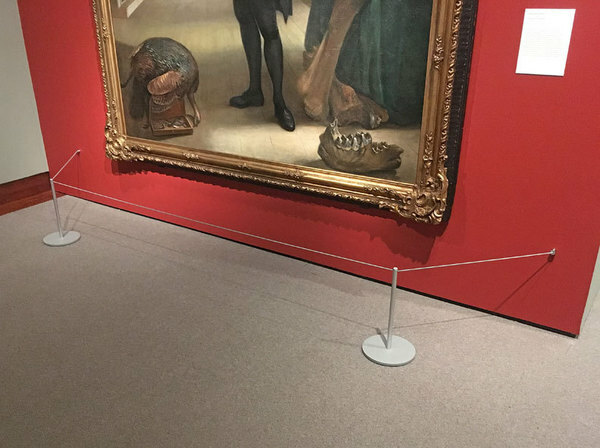 There are a number of barrier options that can be used, such as belts or ropes, but most museums prefer the more refined sophisticated approach of a straight cord. 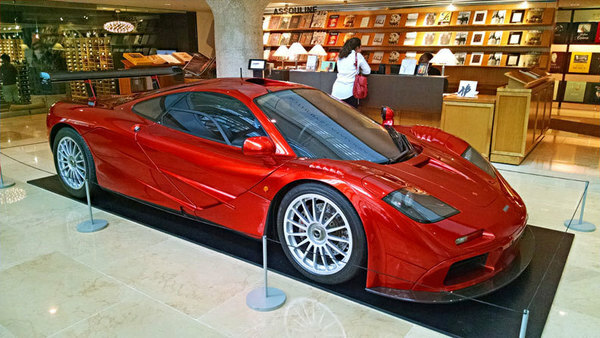 This gives a nice clean look that does not distract from the object being viewed. Stainless steel museum metal barriers used to surround an art exhibit. 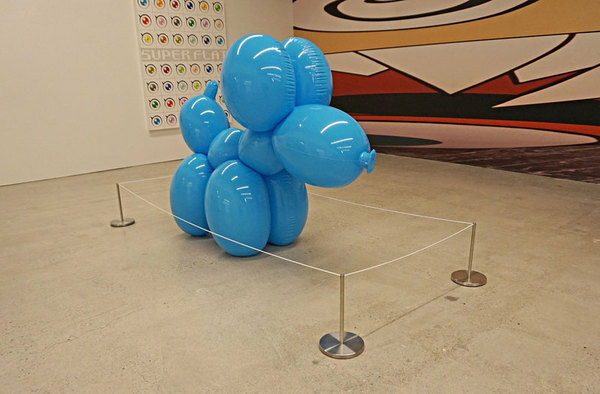 16 inch high grey free standing barriers used to protect an art display. 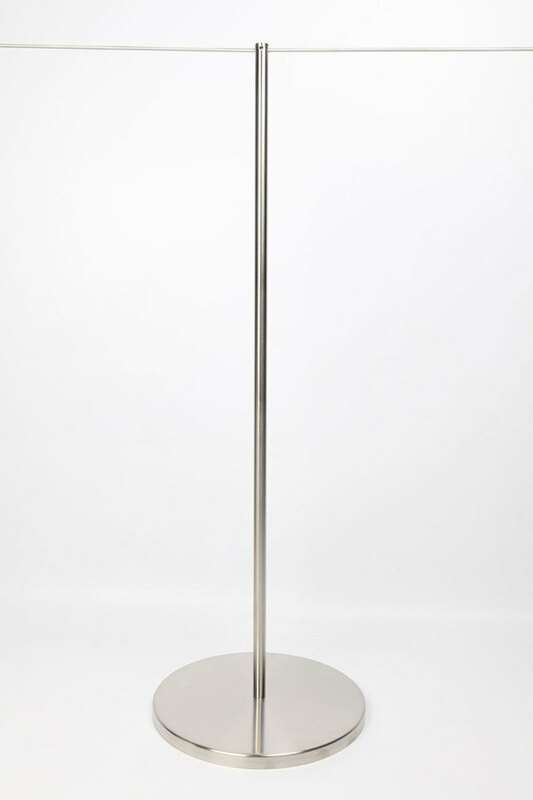 An economical option for a 16 inch art stanchion available in silver/grey. 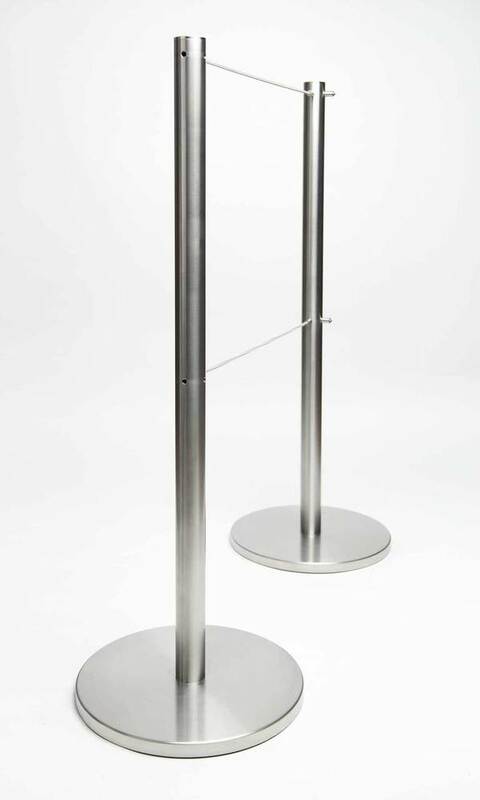 Metal stanchions are available in a floor mounted option for more permanent installations. 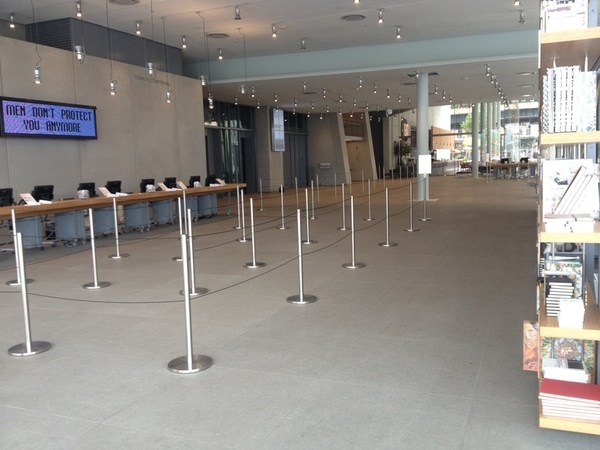 Q-Cord museum retractable barriers set up for queue control at the Whitney. A retractable barrier with two cords. 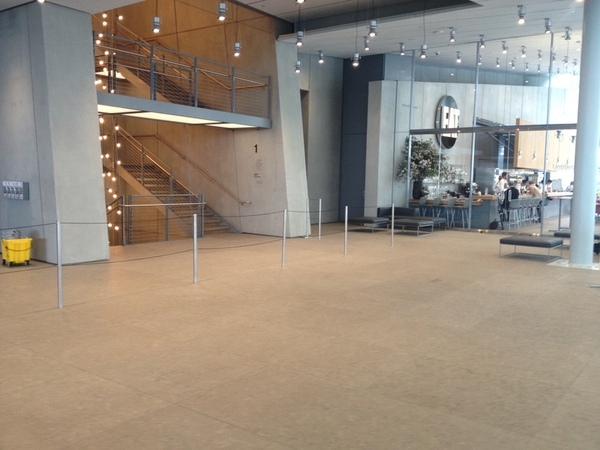 Two museum retractable stanchions with grey cord. 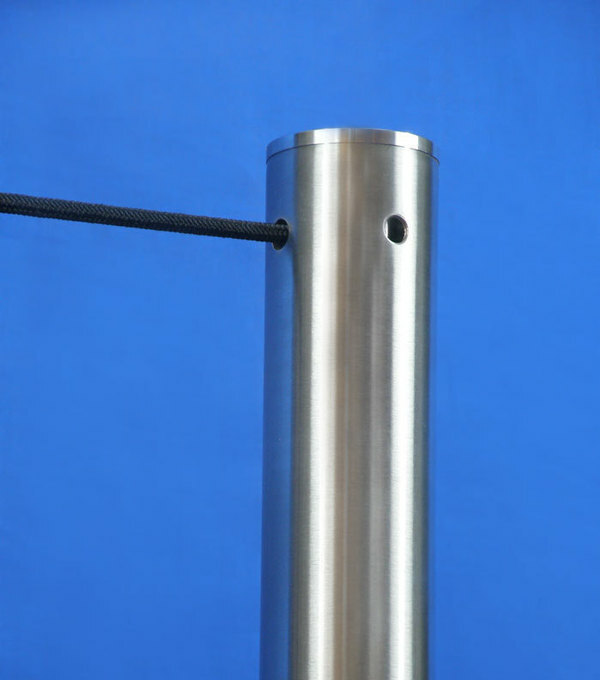 Short metal stanchions available in grey, stainless steel, black and white. 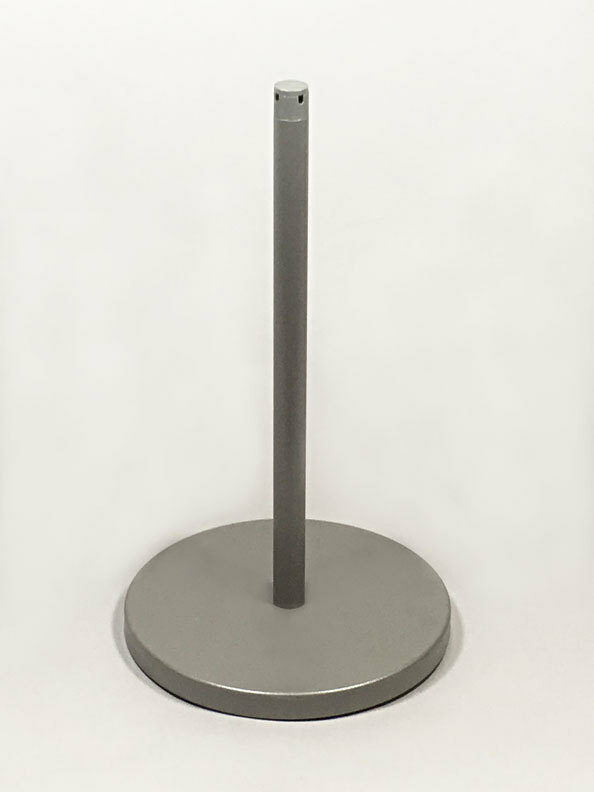 Museum barriers are also available in a 39 inch height. 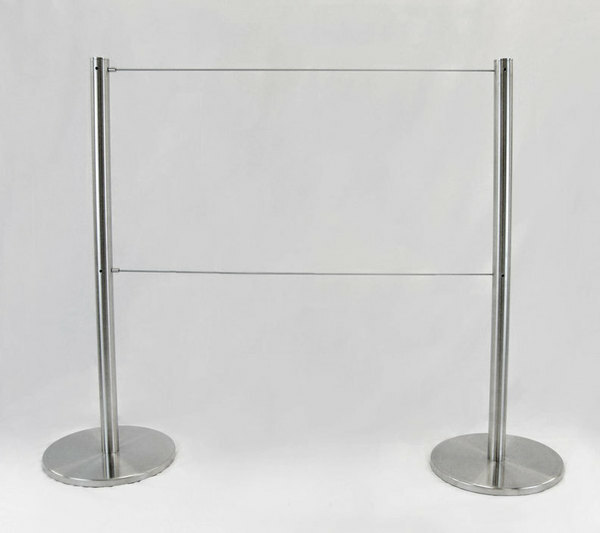 Signage is an option to use with the queue control stanchions. Retractable museum barriers at the Grammy Museum. Q-Cord retractable cord stanchions at the Guggenheim Museum. Retractable barriers at the Museum of Modern Art San Francisco.